Another day, another misguided rant about the viability of the PC as a gaming platform. Whew. Okay. First off, PC gaming revenues surpassed consoles over a year ago while pushing more than twice as much hardware revenue than consoles, while Ubisoft’s recent PC game sales rival the PS4’s (and far outshine the Xbox One). But there’s a more insidious point I want to focus on. While I agree with Torres’ core point that Steam Machines and the rise of Linux gaming is nothing but a good thing for PC gaming in general, this idea that PCs are too complicated to develop for and lack the strong base of exclusives that consoles supposedly enjoy has been gaining steam invarious articles and social media channels in recent months. And it’s wrong. 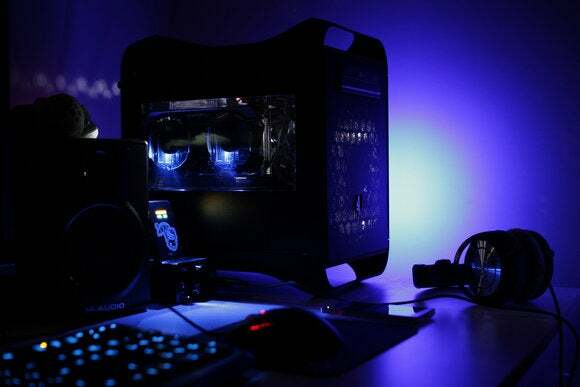 There’s no debating that potential PC configurations vastly outnumber console setups, but at a hardware level, modern-day consoles are basically just low- to mid-end PCs with specialized operating systems designed around Sony and Microsoft’s ecosystems. I’m not saying that to stoke the fanboy fires of which gaming setup is superior; it’s a simple fact. While the PlayStation 3 and Xbox 360 utilized far more custom hardware designs, all modern consoles rock AMD APUs with Radeon graphics and the traditional x86 processor architecture. The Xbox One and PlayStation 4: PCs in console clothing. That’s important to this conversation. At the same time, the cost of AAA game development has skyrocketed—that’s why every major publisher rushes to pump out legions of downloadable content and in-game purchases these days. 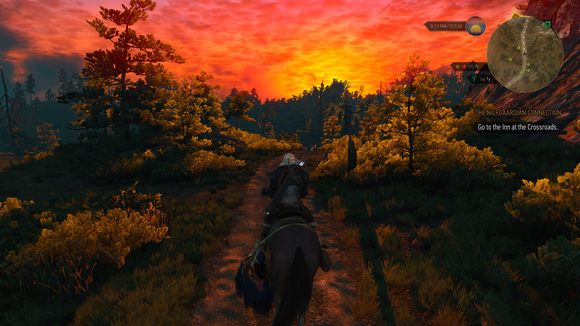 Witcher 3 is just one of the many AAA games available on PCs and consoles alike. Pretty much all of the big-name games announced at E3 this year are coming to PC, too. Even the so-called third-party exclusives announced at the show were hedged with terms like “console exclusive” or “launch exclusive,” as games like the PlayStation’s Grim Fandango Remastered also debuted on PC, while the Xbox One’s Rise of the Tomb Raider is coming to PCs next year (as well as the PS4, eventually). Heck, even Rock Band 4 is coming to the Oculus Rift. Sure, Bloodborne is a PS4 exclusive, but otherwise, the list of true current-gen console exclusives is nothing short of paltry compared to previous generations. And the vast majority of those are first-party games or series with deep ties to a particular console, likeHalo 5, Uncharted 4, Last of Us, God of War, Gears of War 4, Forza Motorsport 6,Crackdown 3, et cetera. And even those walls are breaking down: Microsoft is bringing its recent Gears of War Ultimate Edition and Killer Instinct as well as the upcoming Fable Legends to PC to help push DirectX 12, which gives developers deep, console-level access to PC hardware. 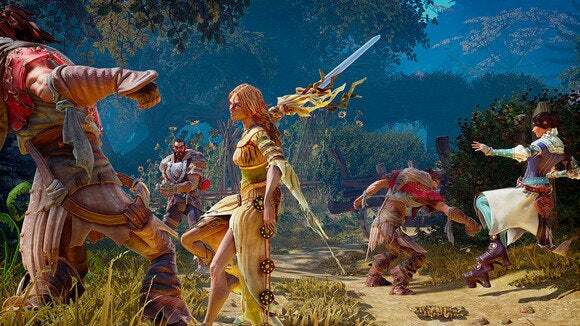 The Fable series has traditionally called Xbox its home, but the upcoming Fable Legends will debut on both Xbox One and PCs. The list goes on and on, and I didn’t even include games that have been playable on PCs for years but will be ported to consoles in 2016—like Kerbal Space Program, Elite: Dangerous, Assetto Corsa, and Invisible Inc.—or the slew of beloved indie PC gems like Undertale (94 rating overall on Metacritic), The Binding of Isaac: Afterbirth (90 rating),Downwell (84 rating), Prison Architect (83 rating), and countless others. These twoReddit threads highlight many, many more. 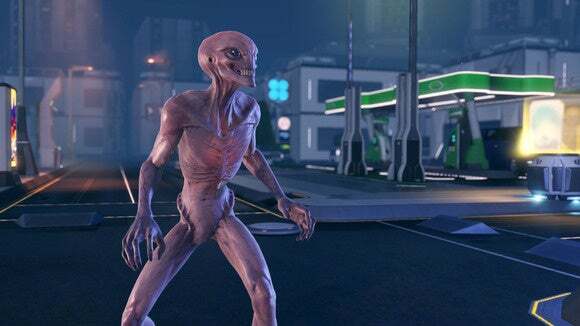 XCOM 2: Only on PCs. So yes, the consoles have some true gaming exclusives—mostly action or sports titles, and far fewer than before. But if anything, the PC is home to vastly more exclusives. They just tend to be a different, slower-paced, more in-depth type of game. And that’s fine! Different strokes for different folks, and all that. There are plenty of valid reasons to prefer either PCs or consoles over the other. But game selection isn’t one of them. Aside from a very select handful of titles, virtually every third-party AAA game makes their way to PCs these days, be it from EA, Ubisoft, Warner Bros., or whoever else, and the list of first-party console exclusives are clearly balanced out by PC exclusives. The PC absolutely, positively does not have fewer exclusives than consoles anymore. The dark days are clearly behind us. All those cross-platform games tend to be far more gorgeous on PCs, shoddy ports aside, and offer free multiplayer too. It’s time this ugly, false rumor gets laid to rest. Please?